For a full description, requirements and instructions on how to complete this application, click on the instructions link below. 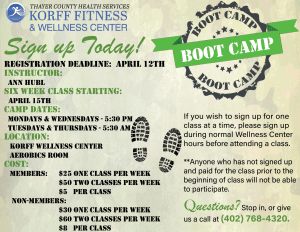 If you have any questions call Rita at 402-768-4636. 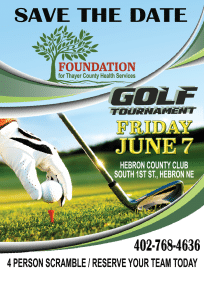 The TCHS Hospital Guild and the Foundation for TCHS award four $500 healthcare scholarships annually. Applicants must be either a high school senior attending school in Thayer County or an adult, 18 years old or older who is currently residing or working in Thayer County. Applications are open only to students pursuing a degree in a healthcare field. These scholarships provide financial assistance to eligible students or adults interested in a career in healthcare. 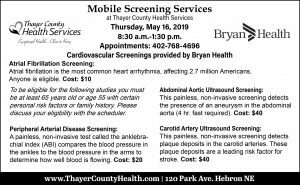 Priority will be given to health care positions currently in existence and/or demand at Thayer County Health Services. Recipients of these Scholarships ARE NOT guaranteed employment at Thayer County Health Services upon completion of their schooling. Applications will be accepted until April 1, 2019. Award notifications will be made by May 1, 2019. The applications must include a High School or College transcript and two letters of recommendations. If you complete the online application and do not upload the forms with your submission, you will need to give hard copies to Rita Luongo at 120 Park Avenue, Hebron, NE 68370 or email them to her at rluongo@tchsne.org by the April 1st deadline. If emailing the supporting documentation, please include the students name in the subject line. If possible list an alternate number to reach you. List an email address we can reach you at. If you graduated from this college, please list the year. Please list any other education, degrees or certification you have received. List any other employers and positions held. Give a start and end date for each employer. Tell where you received your experience. Describe any responsibilities or positions you held. Give us the name of the supervisor for your work experience. If you answered NO, when do you expect to enroll? List additional sources you will be using for financial assistance. Please tell us a little more about why you answered yes or no above. Volunteerism is very important to the Foundation for TCHS and the Hospital Guild. Please tell us about any volunteer activities you are involved in. 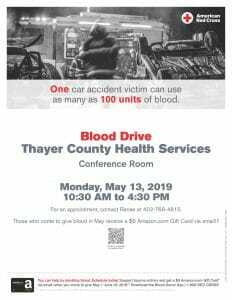 They can be within the community or directly related to the Guild or Foundation for Thayer County Health Services. Please upload your High School Transcript if you are a High School Student. If you are not a High School student, you will need to provide a College transcript or a copy of your High School Transcript. If you are not a High School student, upload a copy of your most recent college transcript. If you have not taken any college courses, you will need to upload a copy of your high school transcript above. Additional information regarding your application not already provided.